This is the era where the X-Men really began to explode – both in popularity and in proliferation across the Marvel Universe. Certainly, the team’s profile was higher in the wake of the one-two punch at the end of John Byrne’s run of The Dark Phoenix Saga and and Days of Future Past. Byrne would contribute to the expansion a few years later with the launch of his own Alpha Flight – a spin-off of the Canadian super team he introduced in his time on the title. Another loosely-connected spinoff from Byrne’s run furthered the X-pansion – the launch of Dazzler. Dazzler was originally meant to be a multi-media property shared with Casablanca Records, but when the tie-ins fell through Marvel still pressed forward with the launch of Dazzler’s ongoing series. Shortly after the launch of Dazzler, Chris Claremont had the chance to wrap up some of the threads of the cancelled Ms. Marvel in Avengers Annual 10, and he used the opportunity to introduce a new young mutant villain – Rogue! Rogue semi-permanently absorbs Carol Danver’s Ms. Marvel abilities, granting her flight and super-strength, but fracturing her psyche more than her mentor Mystique could handle. The biggest two launches of the era both happened within a few months of each other, just prior to Rogue’s joining the team in issue #171 (though they would bookend that in continuity). First, Chris Claremont and Frank Miller launched Wolverine into his first solo adventure in his limited series at the end of 1982. 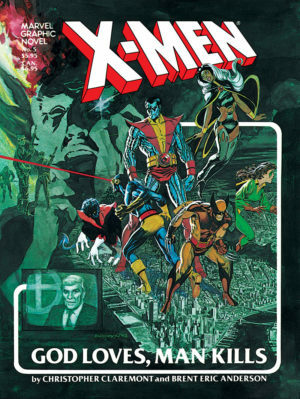 Then, a new X-Men ongoing title launched with The New Mutants in 1983 – first debuting in the oversize Marvel Graphic Novel #4. Xavier assembled the team while he believed his X-Men were lost in space to the alien insects The Brood. The X-Men returned after just three issues of The New Mutants, which gave us two simultaneous teams of X-Men – one of adults (plus Kitty), and another of pupils. All of this built up to 1984, when Marvel launched their epic, 12-month, line-wide maxi-series event – Secret Wars – in which the X-Men were fully a fifth of the massive cast of heroes and villains. 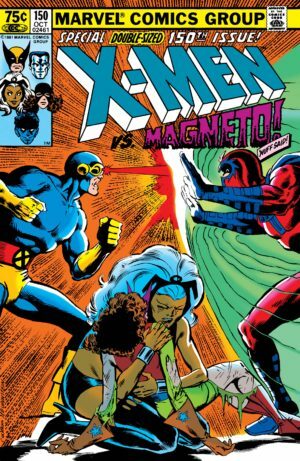 Up to this point, the X-Men had been relatively self-contained in the Bronze Age – occasionally showing up in Marvel Team-Up and Marvel Two-in-One or when Claremont penned another title, but not the guest-starring machine they would become in the later 80s and throughout the 90s. That meant Secret Wars provided a special thrill of seeing the X-Men bump up against other Marvel characters for the first time. It took Secret Wars a year to be released, but it played out in just a handful of panels in Uncanny X-Men and three issues of New Mutants. Yet, in its way it marked a point after which X-Men would never be the same. In the wake of Secret Wars, the X-Men had a higher profile both in and out of the Marvel Universe and they were beset from all sides – by a government increasingly prejudiced against mutants and their Freedom Force, by Selene, Dire Wraiths, Arcade, and more… but not by Magneto. Secret Wars marked the beginning of his path to redemption. None of that says anything for the blockbuster stories in this era or the stunning artwork by Dave Cockrum, Paul Smith, and John Romita Jr. Together with Chris Claremont, these all-time greats gave us Magneto sinking the Leningrad, Storm’s showdown with Dracula, Illyana Rasputin becoming Magik, Carol Danvers as Binary, The Brood Saga, Wolverine’s wedding, punk Storm, Callisto and the Morlocks, Madelyne Pryor, Forge’s depowering gun, Barry Windsor Smith’s LifeDeath, Rachel Summers joining the team – which says nothing of New Mutants, with Sal Buscema’s Magma and Nova Roma and Bill Sienkiewicz’s audacious Demon Bear Saga and the introduction of Legion. It all ends with a major shift in the X-Men status quo – Xavier is whisked away to space, leaving Magneto on trial but also in charge of the X-Men and New Mutants! To me, this will always be the most-classic era of X-Men, not only for all of those many reasons, but because of the consistency of the cast. 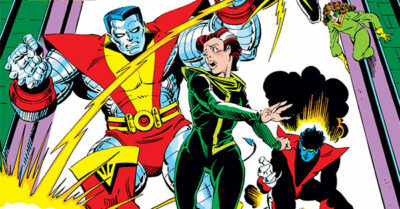 While Cyclops and Xavier would come and go and Kitty was occasionally demoted to the New Mutants, the core of the team remained Storm, Wolverine, Nightcrawler, and Colossus from issue #94 straight through the end of this run with issue #200 before the team started to scatter to the winds in the next era. That stable core came years before I started reading, but as I learned about it via back issues it became the platonic ideal of X-Men to me – and what I’ve always craved since them.